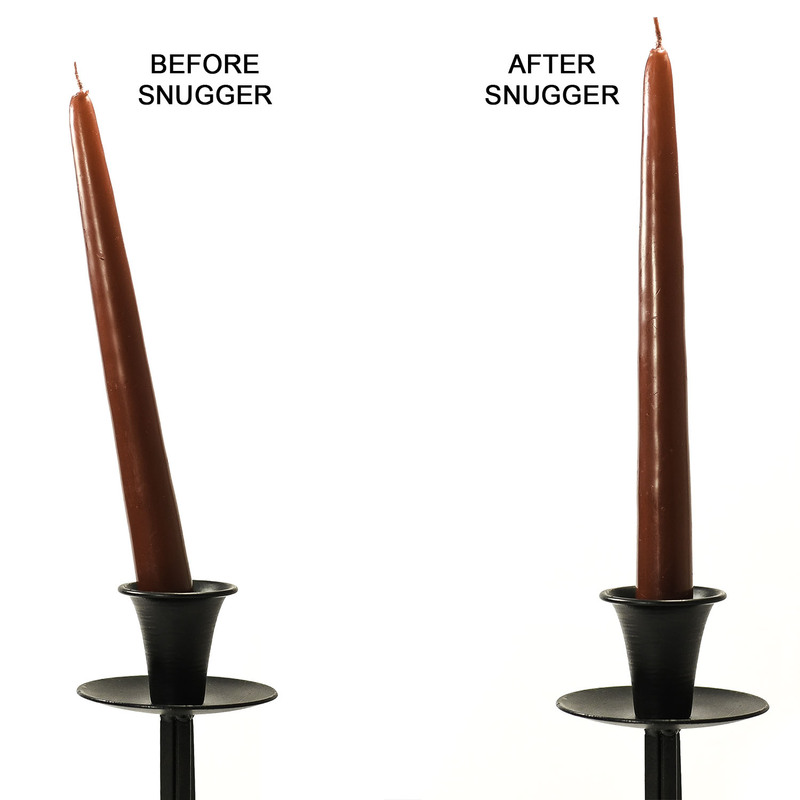 These Candle Snuggers are a "must have" for anyone who burns taper candles. They are an easy to use affordable product that will help make your tapers stand up straight and tight in your candle holders. Each Snugger is a foam disk that is 1 3/4" diameter by 1/8" thick. All you have to do to get straight standing tapers everytime is lay 1 Snugger over the hole in the candlestick and push the taper down into it like norma. The Snugger will form around the base of the candle creating a tight fit. Once you the candle has been burned you can take the Snugger out and reuse it again next time. There are 8 discs per package.